« YAY! An Apartment Therapy FEATURE! 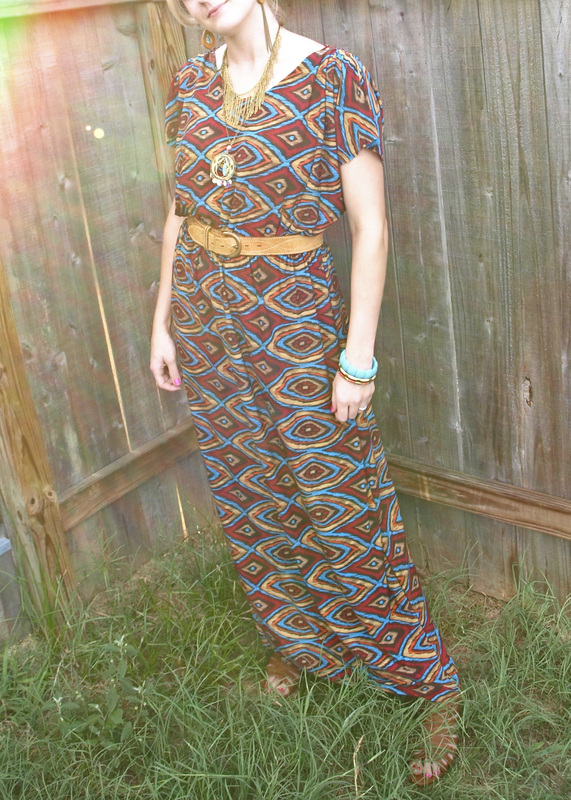 I’ve suddenly become obsessed with making clothes. I blame it on Pinterest and all the adorable ideas I’ve been exposed to. 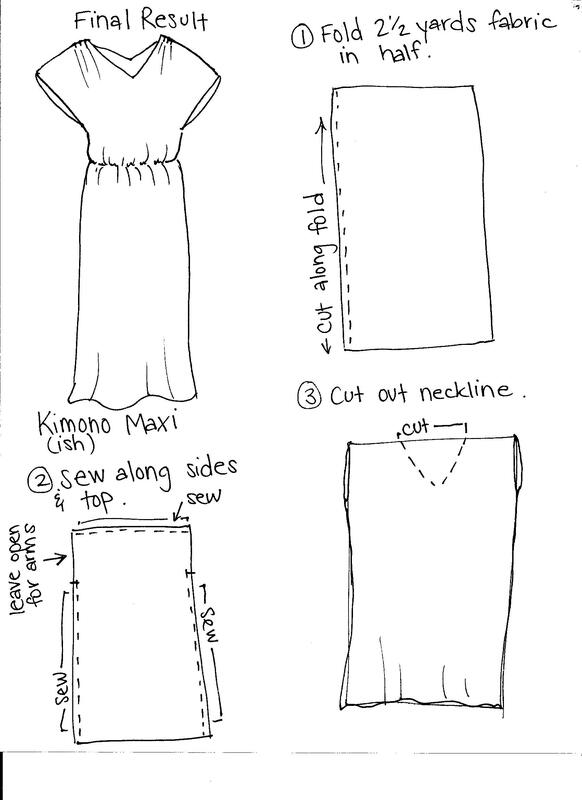 In one of my lives (lets pretend we get lots) I would love to be a fashion designer. *Sigh* Instead though, I have been breaking out my sewing machine and pretending I’m one. When I do get the itch to sew something, I usually turn to jersey fabric or a stretchy knit. This stuff is so easy to work with and doesn’t fray so hemming edges isn’t necessary unless you want it to be. 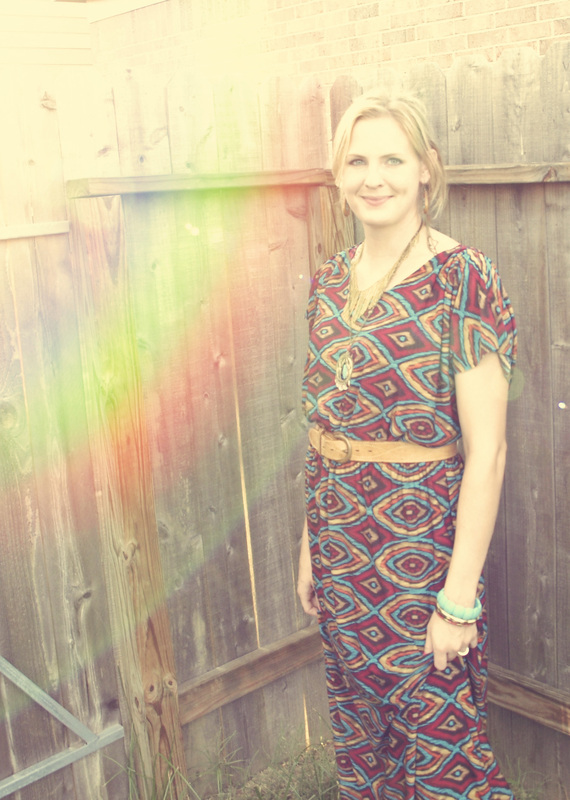 I went to the fabric store the other day in search of a fun print in a knit to make a maxi dress after becoming obsessed with the kimono style maxi dresses I’d seen on Pinterest and Etsy lately. I took both my boys, and quickly perused the options in between shoving cookies into my screaming 14 month old and reprimanding my 4 year old for unrolling bolts of fabric down the aisle. Ugh. Can I just say how much I HATE shopping with my kids. By the way, any tips on that matter would be appreciated! 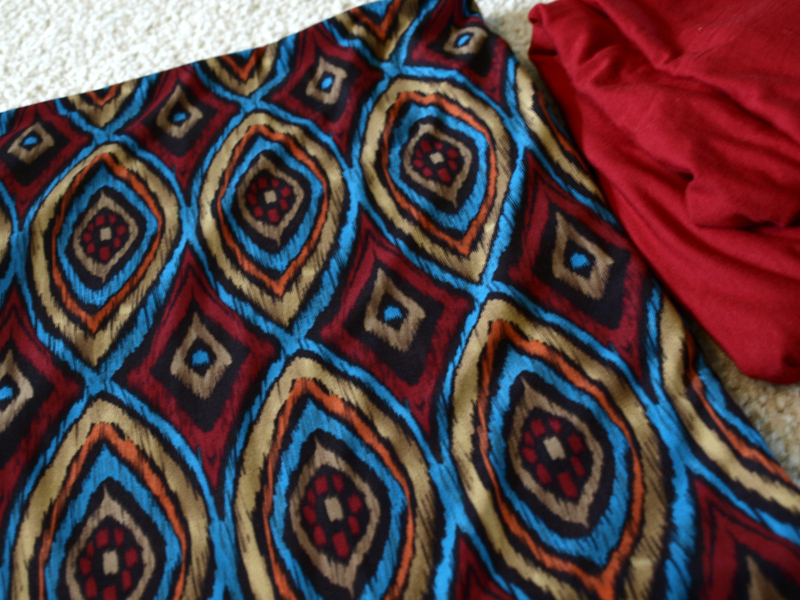 Anyway, I found this colorful, kind of native american-esqu, ikat-ish print that I loved and lucky for me was 40% off. I got 3 yards for $23. Enough to make my maxi dress and a little whatever-else-I-feel-like-making later. Anyway, this is a really easy dress and I’m pretty happy with how it turned out! Hope you like it and have fun making your own! 1. Refer to my little sloppy sketches below that kind of walk you through it. 2. The sketches pretty much lay it out for you but I’ll give you some extra tips. 3. 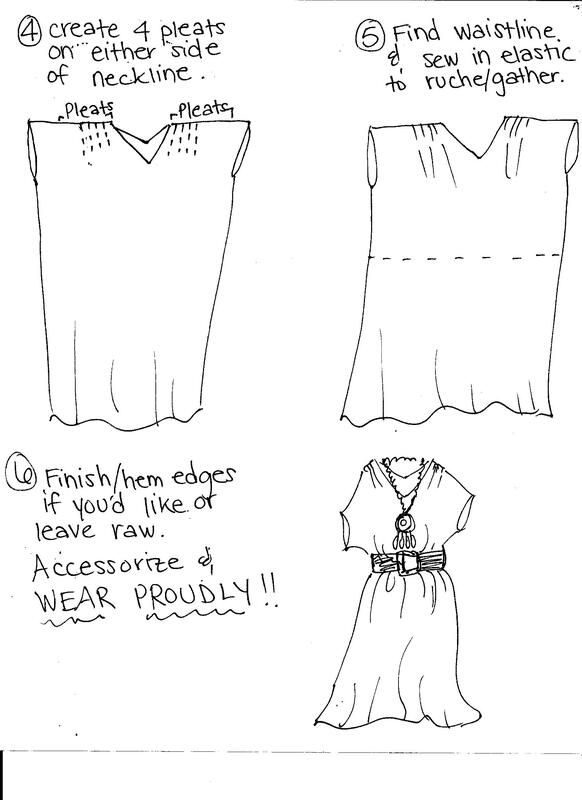 Throw it on when you’re done and accessorize in an oh-so-bohemian-chic kind of way and be proud of your work! 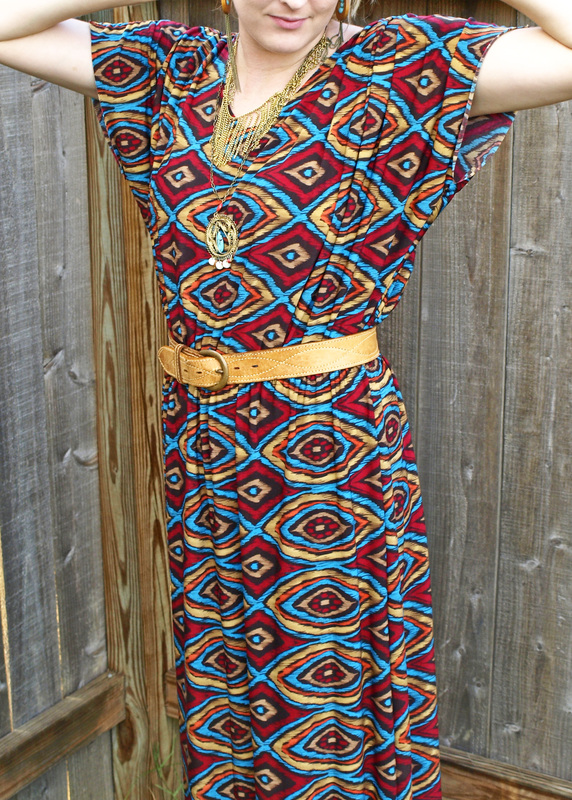 this is a really fun dress! Would it be possible to make a shirt out of this? I just love it! Wow, that is super awesome. Great dress! oh good lord this is gorgeous!!! I love it!